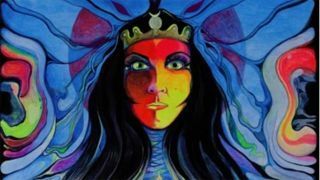 Former Purson singer Rosalie Cunningham has announced that she will release her debut, self-titled solo album through her new record label Esoteric Records. "The day has finally arrived," she announces. "Esoteric and Cherry Red Records have released some of my favourite music of all time and i'm honoured to join the Esoteric roster." Cunningham had originally set up a Pledge Music campaign for the new album, but that was derailed when the company ran into financial difficulties. But she has now signed with Esoteric, also the home to John Lees' Barclay James Harvest and Van der Graaf Generator. Pre-orders are now open for the new record, Cunningham's first recorded work since Purson split in 2016. The first 200 orders get a signed exclusive early bird copy of the album , which is also available in 180gm vinyl.